Aetna's board of directors approved on Sunday the U.S. health insurer's sale to drugstore chain operator CVS Health Corp for approximately $207 per share in cash and stock, according to people familiar with the matter. The $69 billion deal will be this year's largest corporate acquisition. It will combine one of the nation's largest pharmacy benefits managers (PBMs) and pharmacy operators with one of its oldest health insurers, whose far-reaching business ranges from employer healthcare to government plans nationwide. According to the agreed terms, Aetna shareholders stand to receive $145 per share in cash and 0.8378 CVS Health shares for each Aetna share, the sources said. The companies will announce the deal later on Sunday, the four sources added. Aetna shareholders will own about 22 percent of the combined company, while CVS shareholders will own the remainder, the sources said. Three Aetna directors, including Aetna’s Chairman and CEO Mark Bertolini, will join CVS's board of directors, the sources added. The sources requested not to be identified because the deal has not yet been announced. CVS and Aetna did not immediately respond to requests for comment. The deal comes as healthcare payers and pharmacies are responding to factors including the Affordable Care Act, rising drug prices and the threat of competition from online retailers such as Amazon.com Inc.
CVS plans to use its low-cost clinics to eventually save more than $1 billion per year on health care costs for Aetna's roughly 23 million medical members, sources have said. 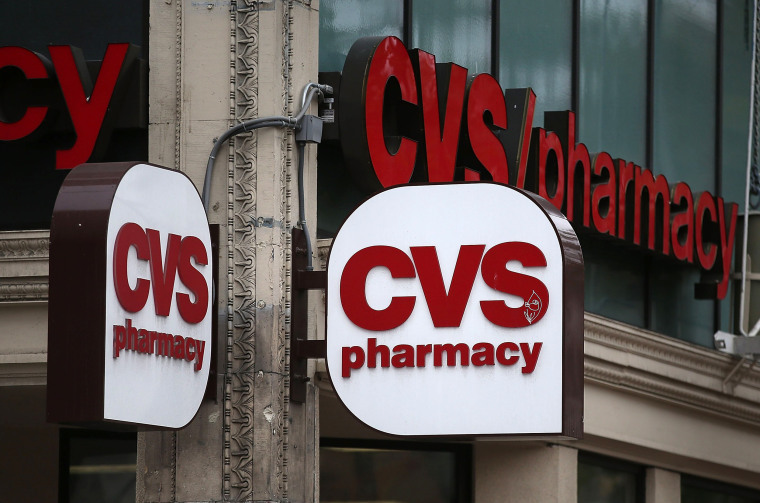 A combined insurer and PBM will also likely be better placed to negotiate lower drug prices, and the arrangement could boost sales for CVS's front-of-store retail business. Meanwhile, deeper collaboration between Aetna's insurance business and CVS's PBM division could drive down drug costs by adding clients and boosting the PBM's leverage with drugmakers. Aetna patient visits to CVS stores for health care and prescriptions could also boost front-of-store sales, which like those at many retailers have fallen in recent quarters amid competition from online sellers. Aetna last year tried to buy rival Humana Inc to gain leverage to control costs, but U.S. antitrust regulators shot down that transaction and a proposed merger between Anthem Inc and Cigna Corp. It could spur a merger between Walgreens Boots Alliance Inc and Humana Inc, or between Humana and Wal-Mart Stores Inc, Ana Gupte, analyst at Leerink Partners, said recently. Although CVS and Aetna's planned merger does not directly consolidate the health insurance or pharmaceutical industries, the U.S. Department of Justice has been taking a closer look at so-called vertical mergers, where the companies are not direct competitors. Last month, the Justice Department sued to block AT&T Inc's planned $85.4 billion merger with Time Warner Inc, saying the integration of a content producer with a distributor could reduce consumer choice. "(The companies) want the FTC to get it. The reason that the FTC is better at this point is that the Justice Department has just broken with decades of precedent of how to deal with vertical mergers," said Cantor, referring to the decision to refuse conduct remedies and file a lawsuit to stop AT&T from buying Time Warner.